Lidl just made landfall yesterday morning, opening its first 10* U.S. stores across Virginia, North Carolina, and South Carolina. *Lidl originally expected to open only nine stores on June 15, but yesterday the company unveiled its store in Wilson, SC alongside its other flagship U.S. stores...for a total of 10. What’s it look like inside Lidl’s new U.S. stores? How are shoppers responding to the retailer’s deep-discounting, private-label-intensive business model? Well, that wait is already over. Yesterday, retail-auditing firm Field Agent sent a handful of agents to all 10 of Lidl’s U.S. stores, where they took photos, captured video, and, later, shared their thoughts and opinions about the new retailer. The full campaign consisted of 36 responses total; all 10 Lidl stores were audited. Participating agents purchased at least one store-brand item from their designated Lidl. 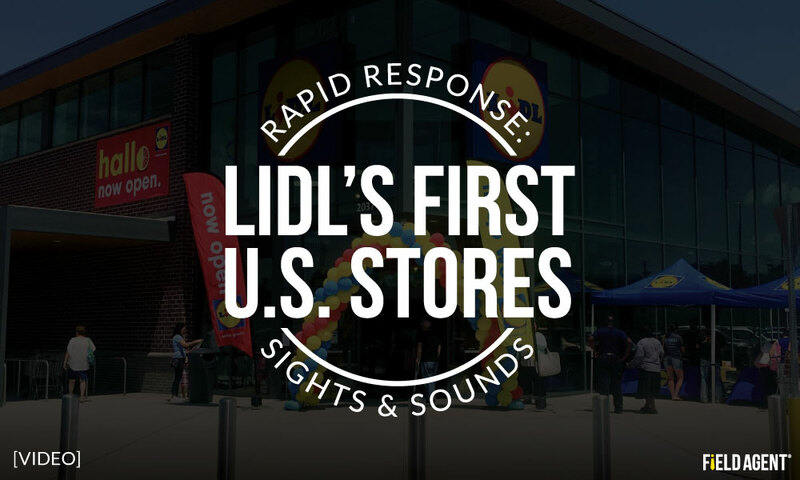 Immediately below we offer an up-close, "rapid response" video across all 10 Lidl-U.S. stores. As you watch, you'll hear the shopper's take on Lidl and its business model. Scroll even further down to view the full results from this mystery shop, including how Lidl and its private labels stack up in shoppers' minds against incumbent U.S. retailers and brands. Below we offer the complete results from this 10-store, 36-agent mobile mystery shop. We welcome you to contact us if you have questions or comments about the results below. While the sample size is by no means large enough to draw conclusions about Lidl, the data below simply represent an early indication of what some shoppers thought of the German retailer on its opening day. While Lidl wasn't for everyone, the majority of mystery shop participants reacted positively to their first experience with the German retailer. The sample actually ranked Lidl—as a grocery shopping option—above competitors Aldi, Walmart, and Kroger. Among agents with convenient access to their designated Lidl store (n = 26), 65% said they're completely likely to purchase groceries from the retailer again in the future, while another 19% said they're very likely. Moreover, while only 4% of these agents indicated Lidl would become its exclusive grocer, 38% expect the German retailer to become its primary grocer and another 38% one of a few regular grocers. It seems Lidl impressed many shoppers on its opening day. Drone-delivery. Checkout-less stores. Shopping with "smart" speakers. They're all quickly becoming reality. But what do shoppers think about these trailblazing retail technologies??? 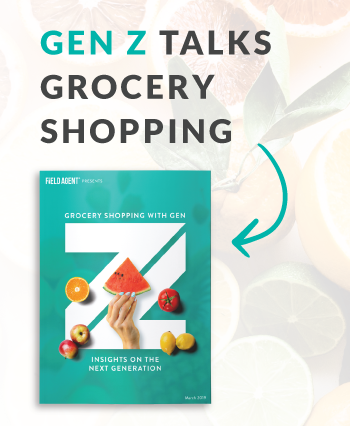 Field Agent surveyed thousands of shoppers to understand the potential of these important retail innovations. Download our special report, "Shopping on the Cutting-Edge," to view the results.